Here is a nice little stack of dyed fabric. They are all nice, but none of them extraordinary. Al of these are of a lower thread count than I will be using in the future, and so there is no lively sheen. 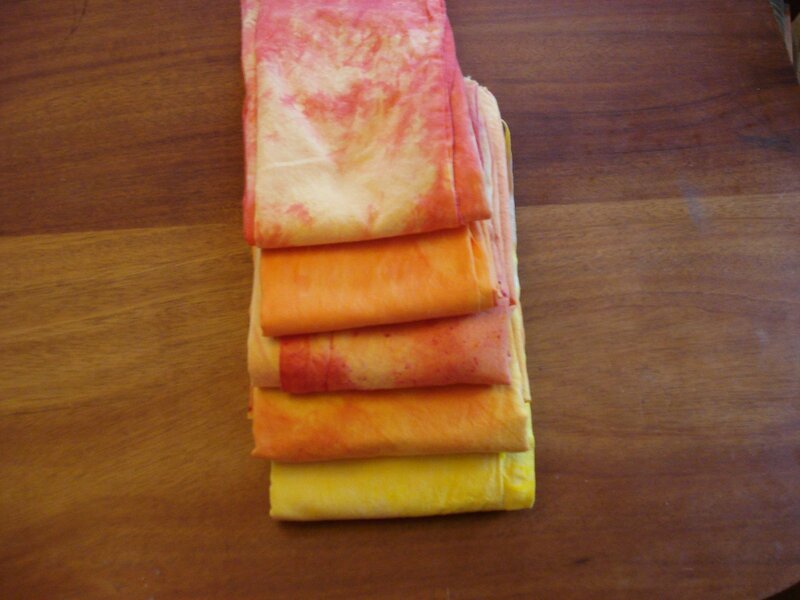 However, they are perfectly respectable yellows and oranges, and will fit into some kind of scrap quilt just fine.